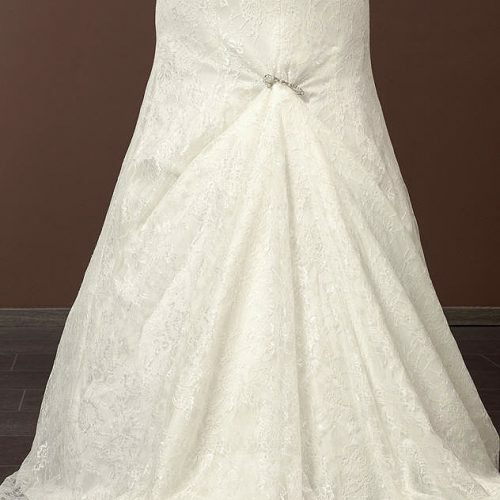 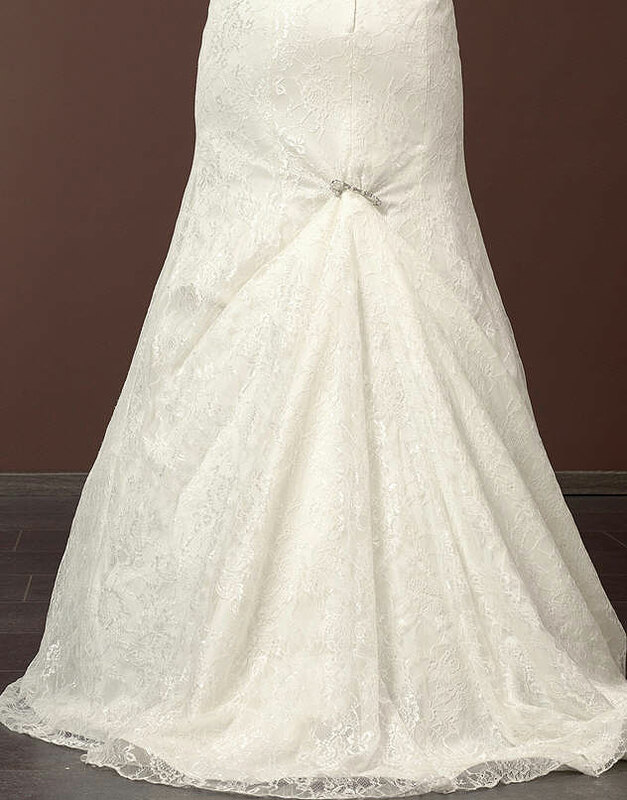 Pearl Bridal Train Pin BB-920. 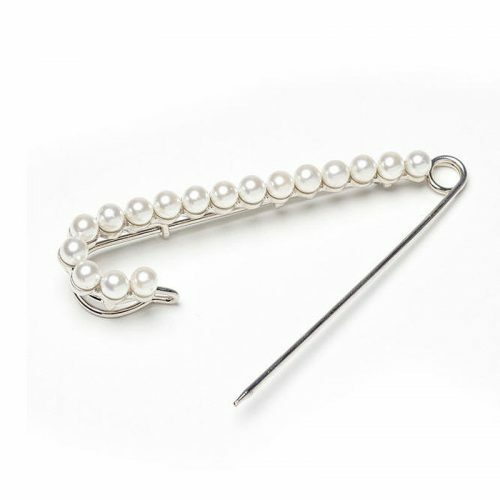 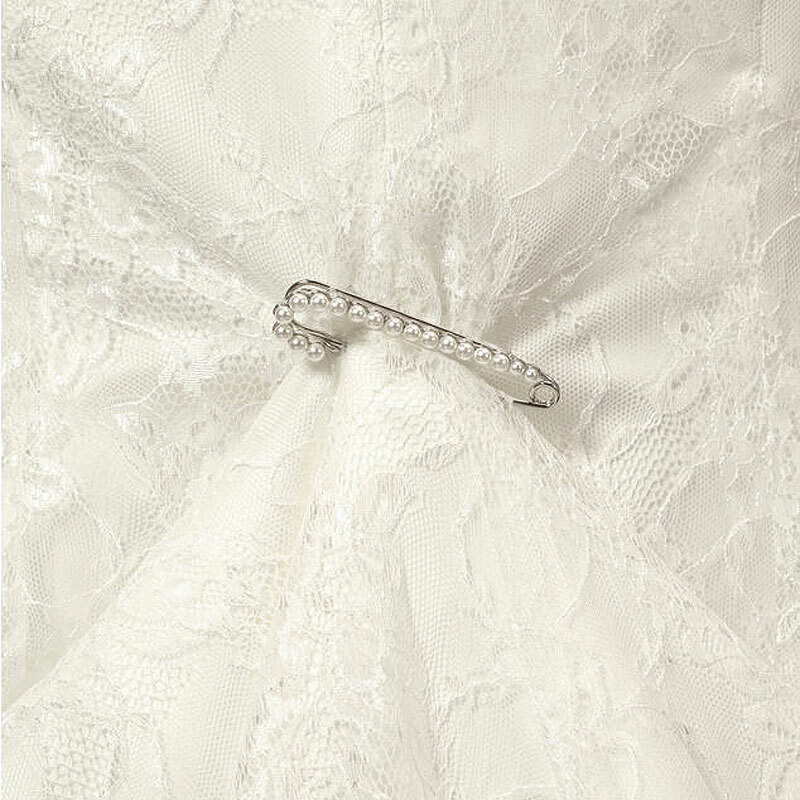 This beautiful bridal train pin by Poirier features a simple, understated line of pearls. 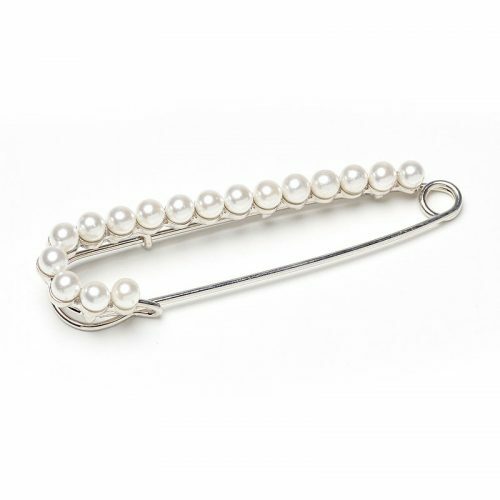 The perfect piece to add an elegant touch to your gown while providing an essential function to help you forget about your train while you dance the night away! The Pearl Bridal Train Pin BB-920 measures approximately 7cm long and is only available in silver.